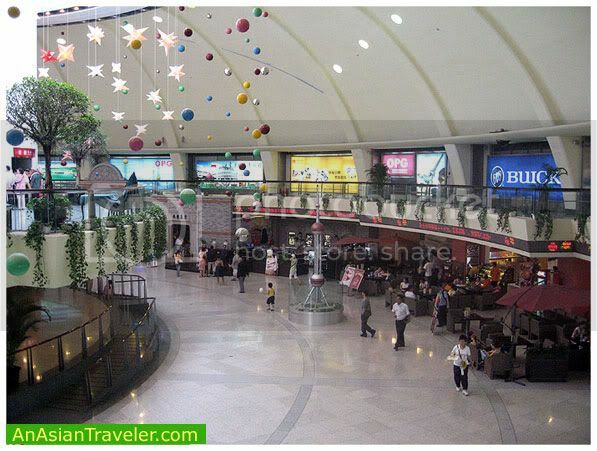 As we ascended on the escalator, the first sight that greeted us was the soaring Oriental Pearl TV Tower. 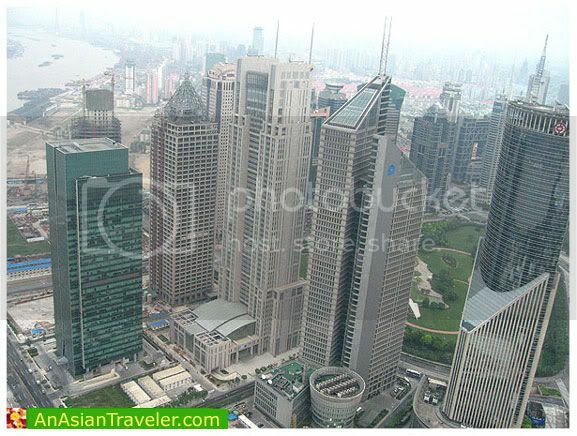 At 1,535 feet, it is the highest tower in Asia and the third highest in the world after the 553-meter CN Tower in Toronto and the 535-meter Moscow TV Tower. The tower has three observatory levels. 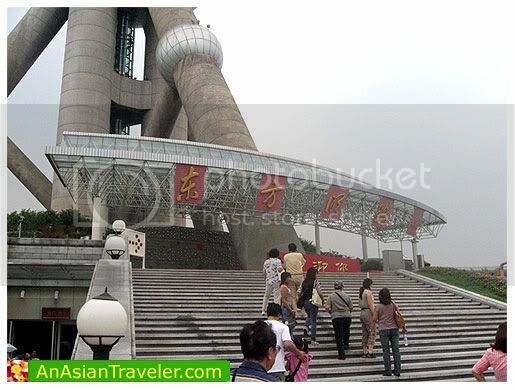 There is also a revolving restaurant and 20-room hotel called the Space Hotel. It has eleven steel spheres in various sizes and the entire building is supported by three gigantic columns that start underground. 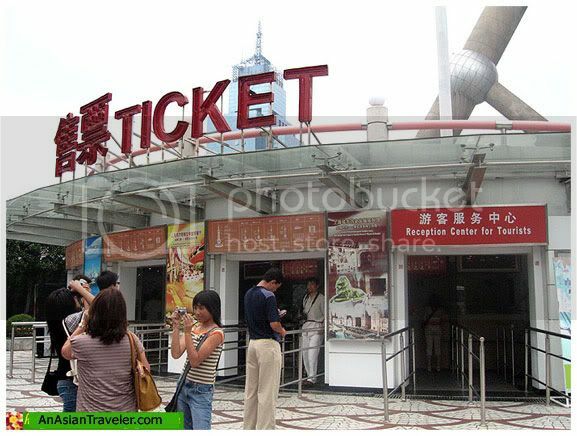 Our tour guide bought the tickets at the tower ticket counter. 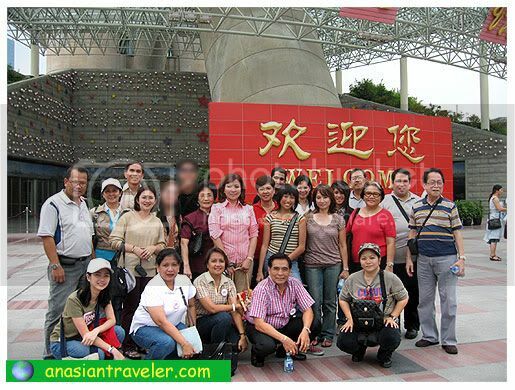 Admission Fee was CNY 50 per person. Once we finally found our way to the elevator we stood in a slow-moving line with other visitors. While waiting I took a quick shot of the huge basement. 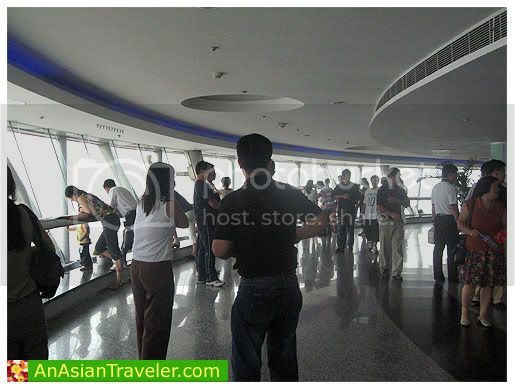 Soon, we rode a double deck elevator that can hold fifty people at a time to the top of the Oriental Pearl TV Tower. There is also a two-speed elevator that can run at a speed of 7 meters per second. The elevator attendants recite an introduction to the TV Tower in English and Chinese during the rapid 1/4-mile ascent. The tower was included in the recent movie titled Fantastic Four: Rise of the Silver Surfer (2007).. 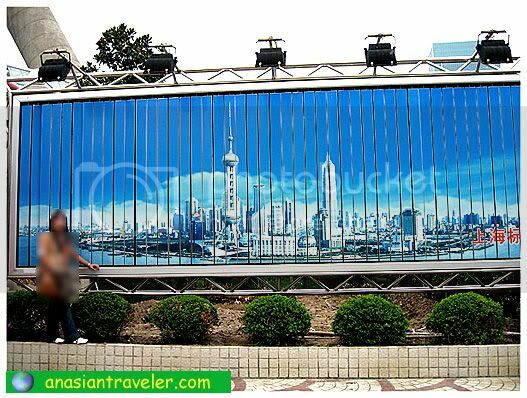 The Oriental Pearl TV Tower has already become one of the symbolic buildings. 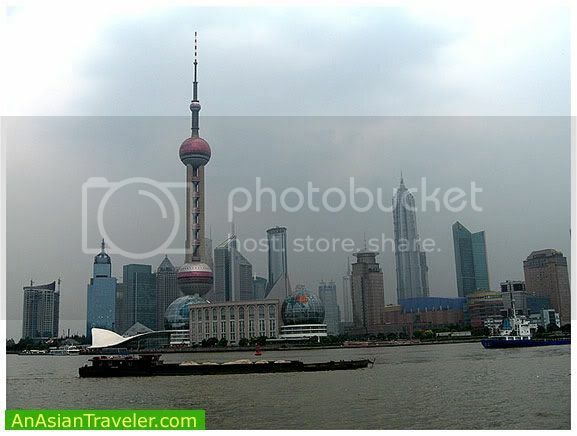 The Oriental Pearl TV Tower belongs to the World Federation of Great Towers. 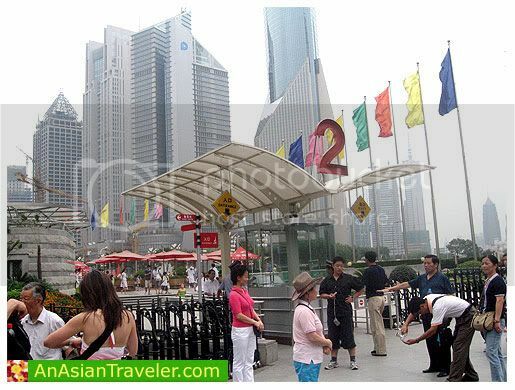 It is located in Pudong Park in Lujiazui, Shanghai.